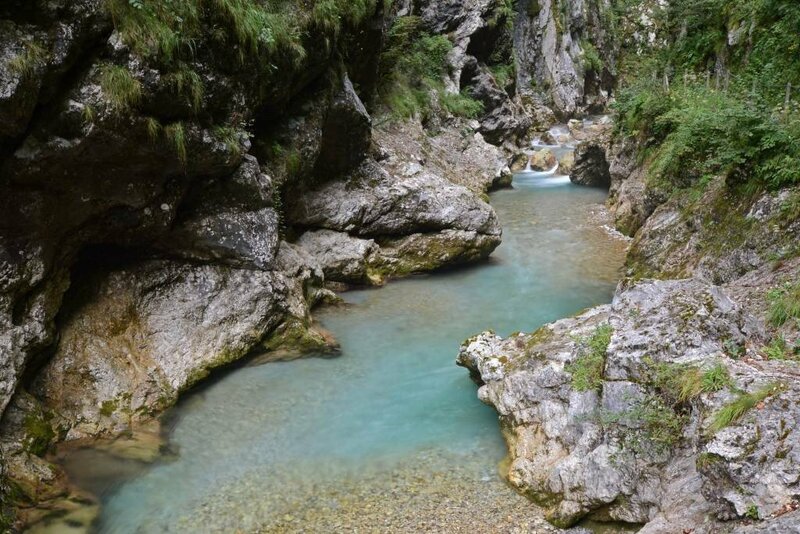 Tolmin Gorge is located at the southern-most portion of Triglav National Park at the confluence of Tolminka and Zadlaščica streams in beautiful Slovenia. Not surprisingly, it is Tolmin’s most appreciated attraction. 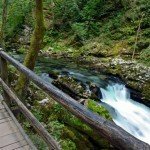 It’s a little more strenuous of a hike than that at Vintgar Gorge, but still definitely worth a visit nonetheless. 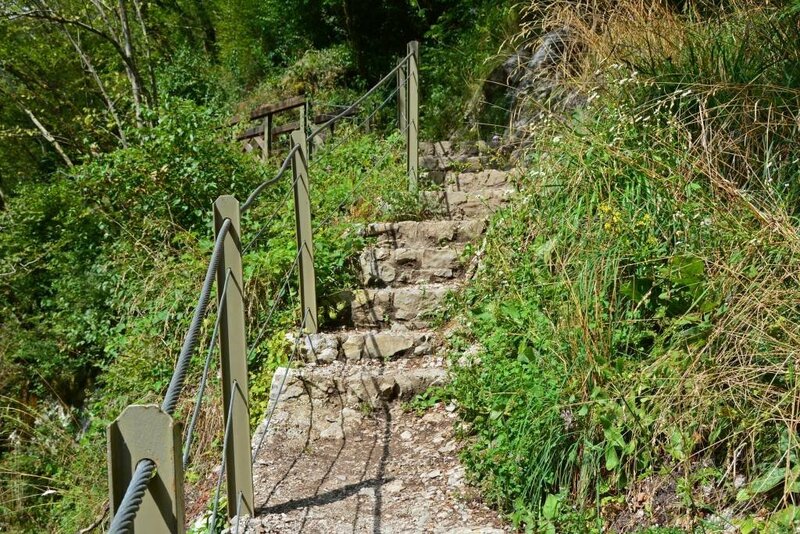 Make sure you have shoes with a good grip, as you’ll be required to go up and down rocky and sometimes slippery steps. 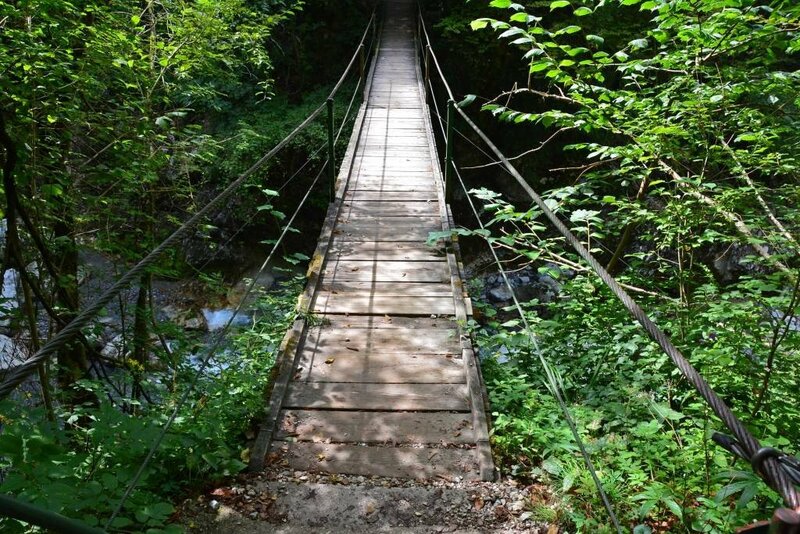 The trail that leads you through the gorge is only 1.5 miles (2.5 km) and most people complete the semi-looped trail in about an hour and a half. 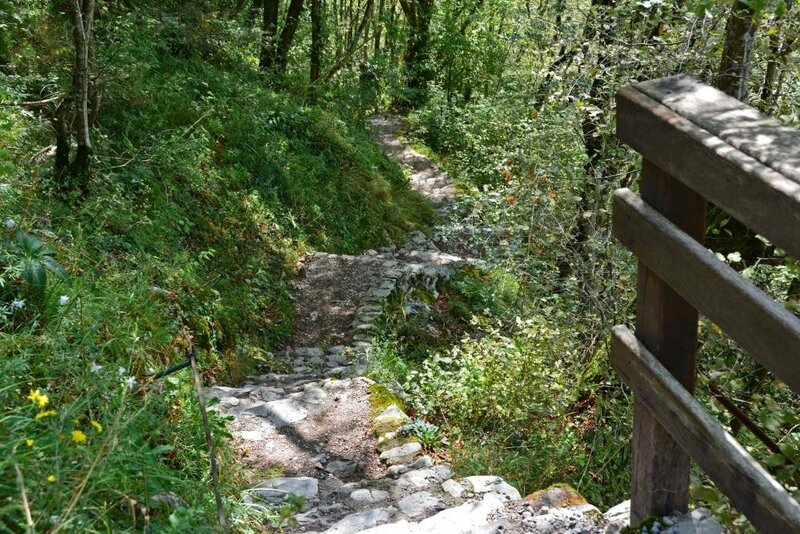 On a warm summer’s day, a walk along the gorge brings welcomed cool air that drifts up from the Tolminka River below. 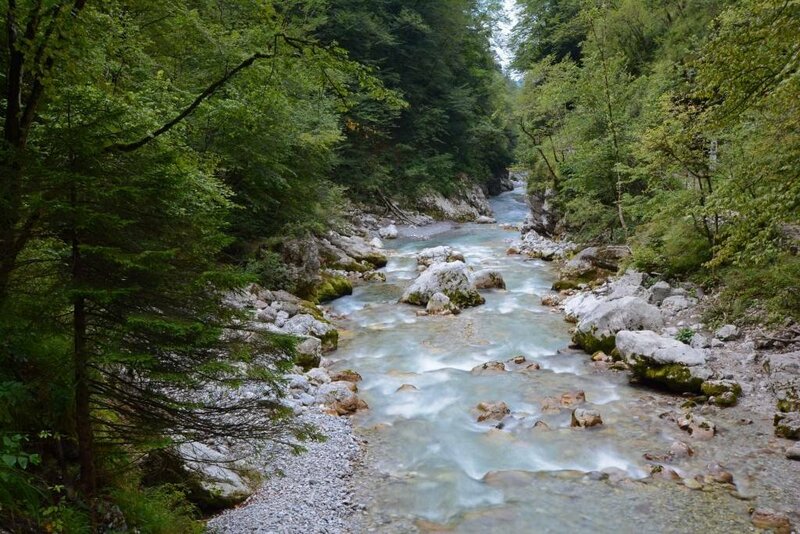 The river is usually a crisp 41-48.2 degrees F (5- to 9-degrees C). 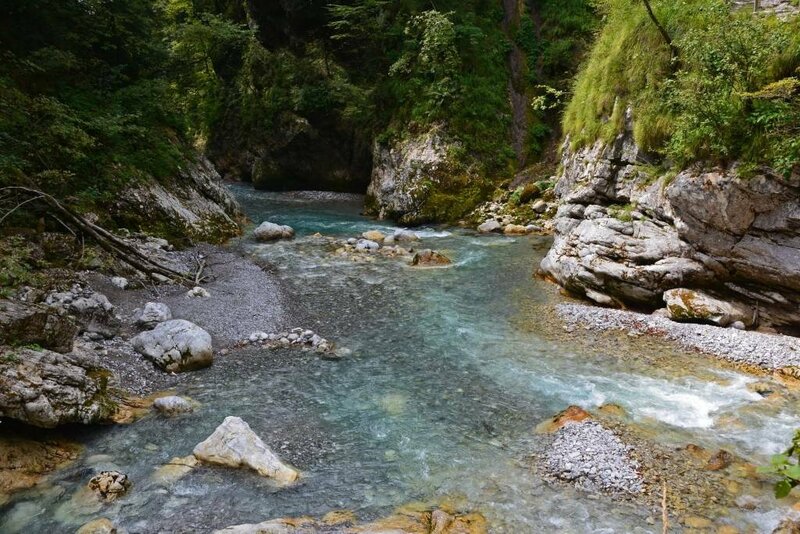 The crystal clear turquoise water is a sight to behold as it gently flows through the canyon walls. 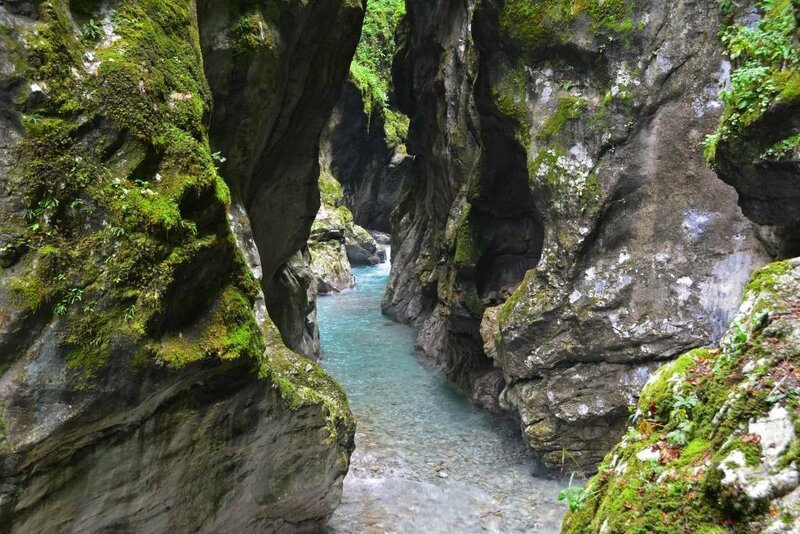 Tolmin Gorge has several fascinating features, like a large rock lodged between the walls of the Zadlaščica Canyon. 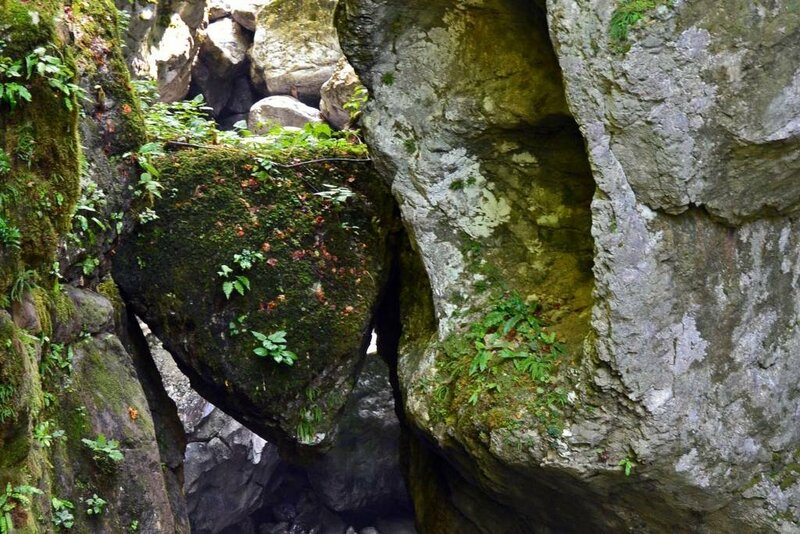 Because of the moss covering the rock, it long ago became known as ‘The Bear’s Head’, though its official name is medvedova glava or natural bridge. We also enjoyed the collection of small caves located along the well marked path (pictured below). Thankfully the flashlights on our cell phones provided just enough light to navigate the short caves. 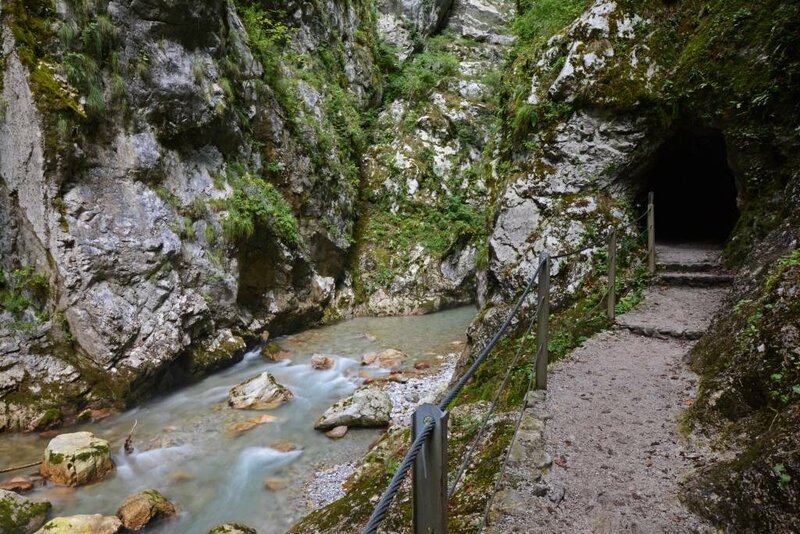 Also located near the gorge is Dante’s Cave, one of several caves through which the waters of the Soča glacier once flowed. It is named after the Italian poet Dante Alighieri, as his The Divine Comedy was inspired by this very cave. Visitors to the gorge can visit the entrance of the cave, but only those with proper equipment and a guide are actually allowed inside. 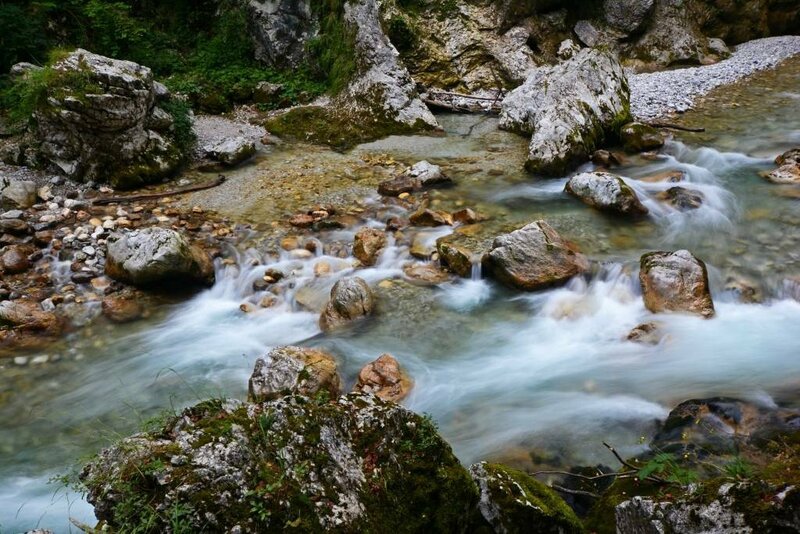 A visit to Tolmin Gorge should absolutely be on your list of things to do during your next visit to Slovenia. 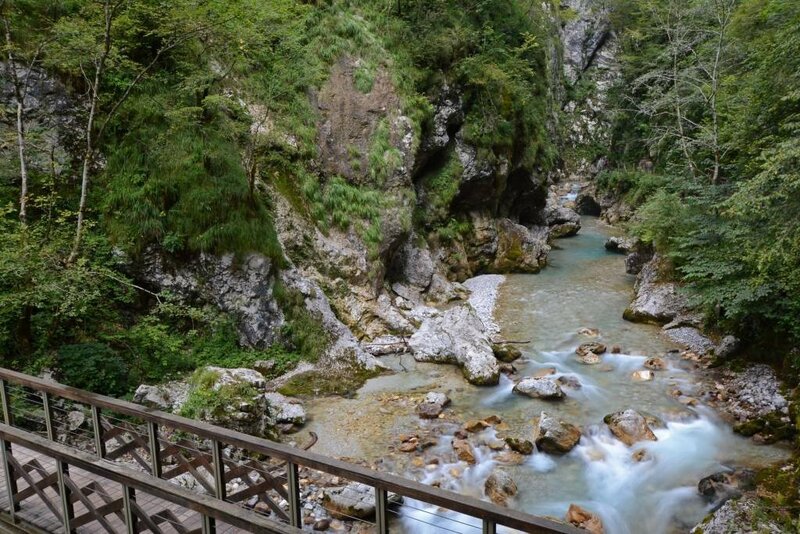 Though we enjoyed Vintgar Gorge just a little bit more, we most definitely enjoyed the beauty and wonder of the Tolmin Gorge. At just 4 Euros per person (as of August 2015), it’s a wonderful and inexpensive way to spend a few hours. 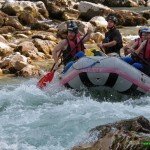 And when you find yourself in this region of Slovenia, we also recommend you take a rafting trip on the Soca River. Or if you’re looking for something a little more mild, consider a visit to the wine region of Brda, located less than an hour from Tolmin. 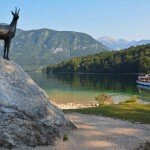 What is your favorite natural attraction in Slovenia?